A few words on this subject are due. One question that is rumored to have plagued Einstein who created his famous equation considering matter and energy, is the question of meaning or truth, for meaning and truth have no matter and no energy. A favorite project of mine is to ask a group to take out a pencil and paper and to draw the essence of life – not something living, but the very essence itself. Life, like truth, like meaning, exists in the non-material plane – a place between the light and the dark, a center focus, captured within the specifics of sacred geometry at a macro, sub-macro, or micro level. Consider for instance a person’s reputation. It is something that remains unseen. It is something that exists in the non-material plane, as does the meaning of the report of the reputation, yet the meanings of words carry the greatest reality. In fact, it is by the spoken word of ELOHIYM that existence came into existence, and the word was with ELOHIYM and the word was ELOHIYM. For by it [faith] the elders obtained a good report. 3 Through faith we understand that the worlds were framed by the Word of ELOHIYM, so that things which are seen were not made of things which do appear. This concept is worthy of books on this topic, and books have in fact been written. I personally prefer the concept of sacred geometry and the propulsion of the eternal light into the sitra ahra (the outer darkness) pursuant to the instruction of ELOHIYM to be as the story of creation, over the self-dismissed concept of the big bang. I have written on this in the book Sitrei Torah, where I discuss sacred geometry and the division of light in creation. Let’s take a look at a broader concept, for a second. 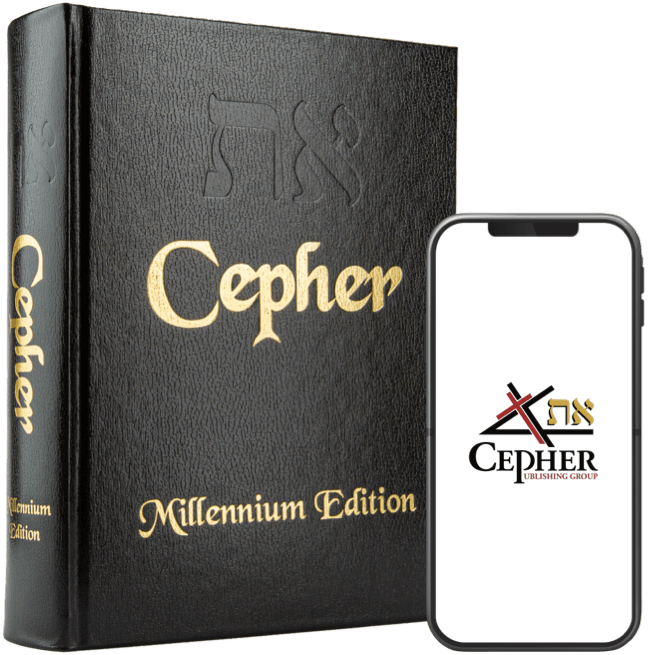 I have written about the white fire Torah – the actual inerrant word of YAH, which is not perceived by man, who cannot see it until it is fixed with the black Torah upon the white page. Bere’shiyth bara Elohiym eth ha’shamayim u’eth ha’aretz. In the beginning created Elohiym eth the heavens and eth the earth. But consider the implication that the Ayn Soph is the infinite power – the unseen power – that created, but goes without being named. Bere’shiyth (Ayn Soph) bara Elohiym eth ha’shamayim u’eth ha’aretz. In the beginning (Ayn Soph) created Elohiym, the heavens and the earth. For some, this may appear as a unique heresy, but such a conclusion rushes to judgment. As I have discussed many times, ELOHIYM is a plural word, the plural of the word EL (masc.) or ELOAH (fem. – from whence the Arabic derivation Allah is had). Does this mean that the true interpretation of Genesis 1:1 should be “In the beginning, the gods created the heavens and the earth?” Zechariah Sitchens has taken such a position, as have many others who have given a Greek literalization to this phrase. To this, I say, no. ELOHIYM as used in this verse, means YAH in plurality – an expression of echad (one-ness). Now, we must ask ourselves the question: do we believe that YAHUAH ELOHAYNU YAHUAH echad (alone)? Is YAH one, or does YAH in his immediacy within the finite only appear as ELOHIYM (in a plurality)? I believe the metaphysics demonstrate that the Ayn Soph (the unnameable YAH in the infinite), who, occupying all infinite space in infinite dimension, first created tohu vay’bohu (voidness and formlessness) or the outer darkness, into which he made himself manifest as ELOHIYM, by pouring in the Or Ayn Soph (the light without end) up and down, back and forth, and to and fro, developing along a Fibinacci sequence, using the golden mean, to build the tetrahedron masculine within the sphere of the feminine, and to develop the positive, neutral, and negative aspects of the God-head we call ELOHIYM. We shall leave our discussion at that point for another day, but it does introduce you to the concept of how the things which are seen were not made of things which do appear. By faith Hevel offered unto ELOHIYM a more excellent sacrifice than Qayin, by which he obtained witness that he was righteous, ELOHIYM testifying of his gifts: and by it he being dead yet speaks. 5 By faith Chanok was translated that he should not see death; and was not found, because ELOHIYM had translated him: for before his translation he had this testimony, that he pleased ELOHIYM. 6 But without faith it is impossible to please him: for he that comes to ELOHIYM must believe that he is, and that he is a rewarder of them that diligently seek him. 7 By faith Noach, being warned of ELOHIYM of things not seen as yet, moved with fear, prepared an ark to the saving of his house; by the which he condemned the world, and became heir of the righteousness which is by faith. 8 By faith Avraham, when he was called to go out into a place which he should after receive for an inheritance, obeyed; and he went out, not knowing whither he went. 9 By faith he sojourned in the land of promise, as in a strange country, dwelling in tabernacles with Yitschaq and Ya`aqov, the heirs with him of the same promise: 10 For he looked for a city which has foundations, whose Builder and Maker is ELOHIYM. 11 Through faith also Sarah herself received strength to conceive seed, and was delivered of a child when she was past age, because she judged him faithful who had promised. 12 Therefore sprang there even of one, and him as good as dead, so many as the stars of the sky in multitude, and as the sand which is by the sea shore innumerable. 13 These all died in faith, not having received the promises, but having seen them afar off, and were persuaded of them, and embraced them, and confessed that they were strangers and pilgrims on the earth. I will take just a moment here to discuss the progression of the soul. Again, this is just a cursory overview to be discussed later with greater documentation. Here, the writer of this Cepher Ivriym (Hebrews) declares that faith is believing YAHUAH and obeying. Yet, when we consider the levels of the soul, this is but the second level of growth. In short, the soul progresses from the Nefesh – which is a condition of the soul in every living body – to the Ruach, which is a condition that believes YAHUAH. From the Ruach, the soul progresses to the Neshamah, the condition of loving YAH with all of your strength, to Chaya, the condition of eternal life as a result of knowing the Father and the Son whom he sent, to the Yachida, the soul in oneness with YAH.